In 2014 I had the pleasure of meeting Andy Smith for the first time. It was at his house in Deadwood, SD. I picked up a nice Ponderosa Pine bonsai from him to use in a workshop the following spring. 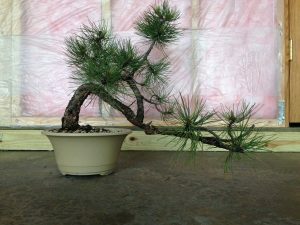 This was the first year that I dabbled with pines and the third one I picked up that year. Below is the tree after I got home with it. The following events are not recommended, encouraged, or promoted. 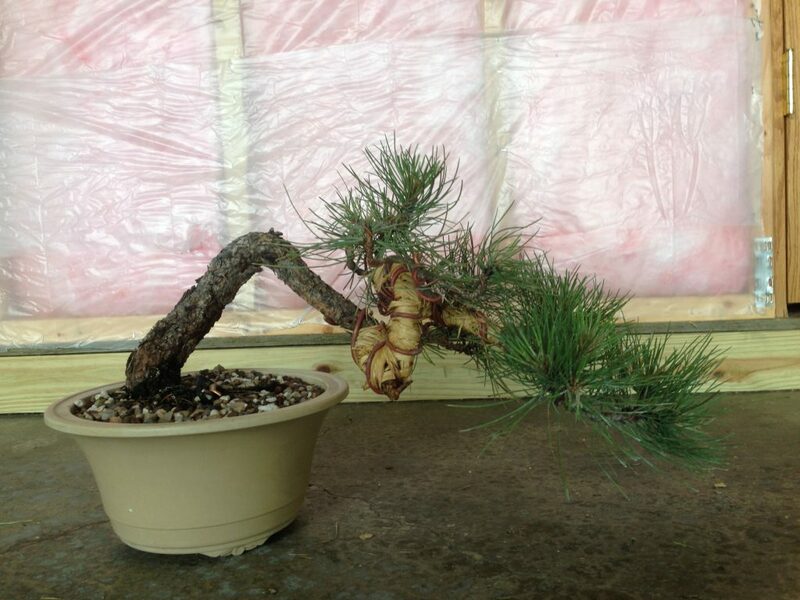 Do not do this to your Ponderosa Pine. These next two photos are from May 2015 before the workshop and in June 2015 after the workshop. 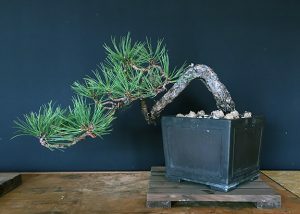 We did a big bend on the upright branch to make it more of a semi-cascade style. I was reading everything, Ponderosa Pine. Trying to learn as much as possible. 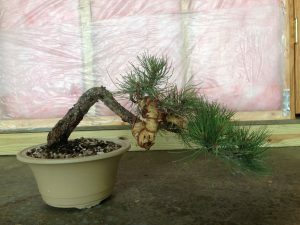 I learned about the infamous “Fall Technique” for Ponderosa Pines. 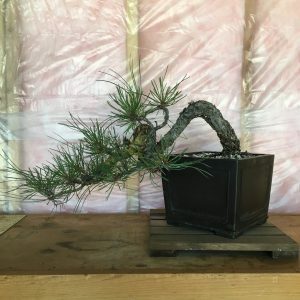 The “Fall Technique” is where you cut the big buds and pull needles in the fall and the result is supposed to be more back budding and shorter needles. Now I don’t know if I had read something wrong or I just didn’t understand. Most likely I just didn’t understand the technique and my patience was just not there. The following images were the result of my understanding of the “Fall Technique”. I know right? 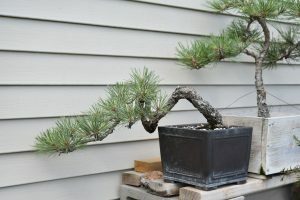 Made sense when I read the technique, but now that I have a little more grasp on horticulture I see how wrong this technique is. 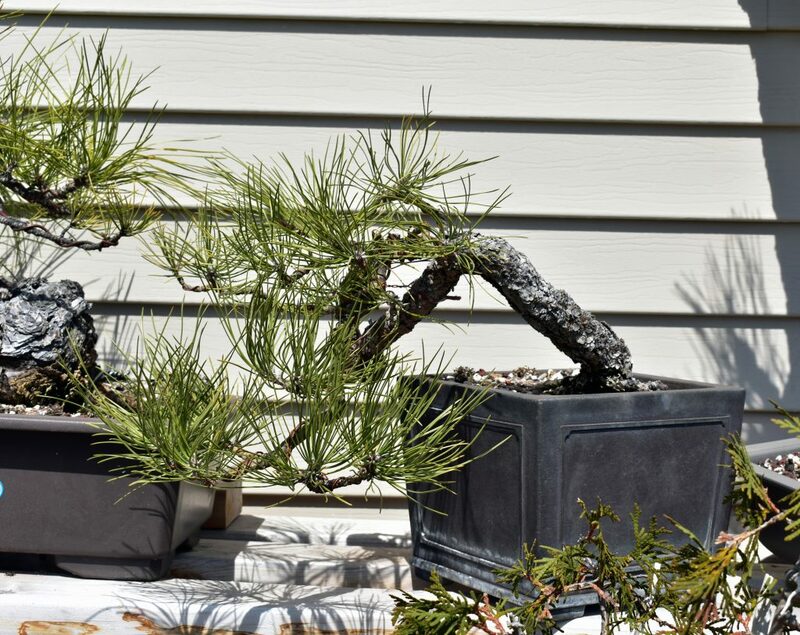 Don’t do that to your Ponderosa Pines. You read to do one thing at a time. 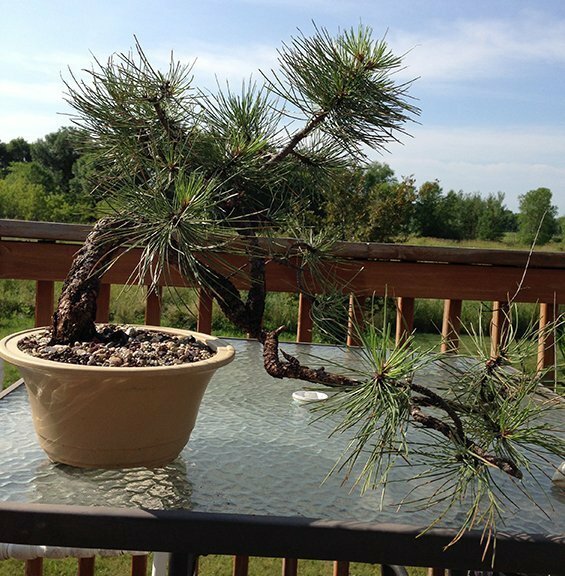 Let’s see, I styled the tree in the spring and then reduced all of its energy in the fall of 2015. Wait that was two things. 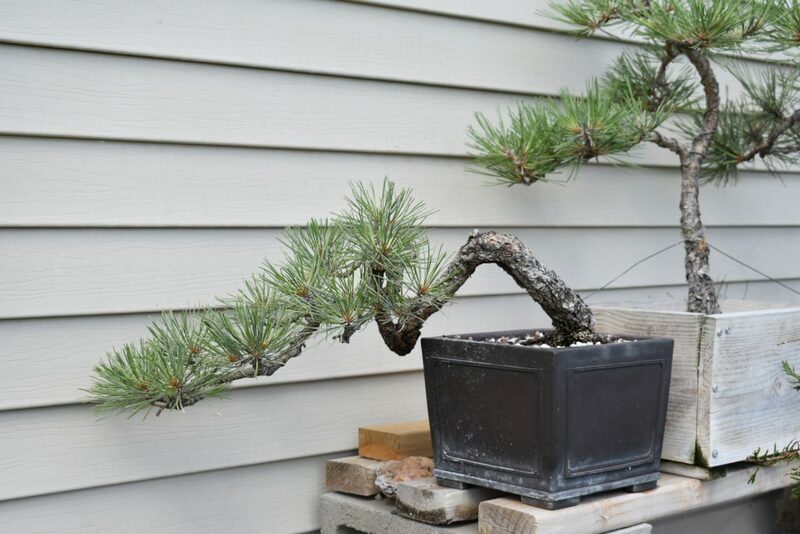 I bet 2016 will be a better year because according to my reading of the Fall Technique I am going to have more back buds and shorter needles. This tree will look amazing I am sure of it. Do one thing a year. 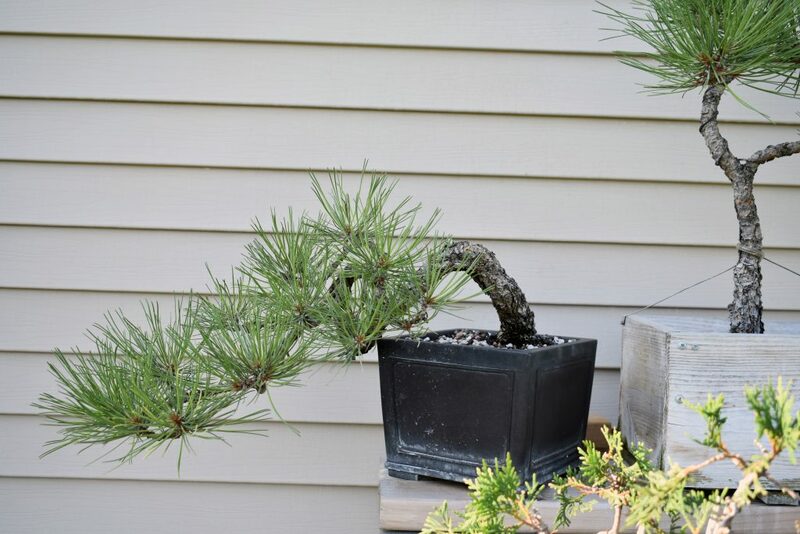 Fall of 2015 to the spring of 2016, sounds like a good time to repot this tree. This next image is some time after a repot. 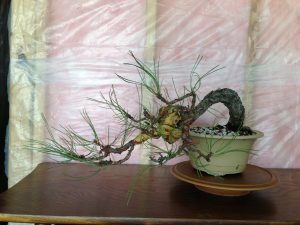 Everything looks good, the needles are short in June, it’s in a new pot and in August of 2016 the bonsai is still alive. The needles are still short. To be honest the tree really did not grow in 2016. 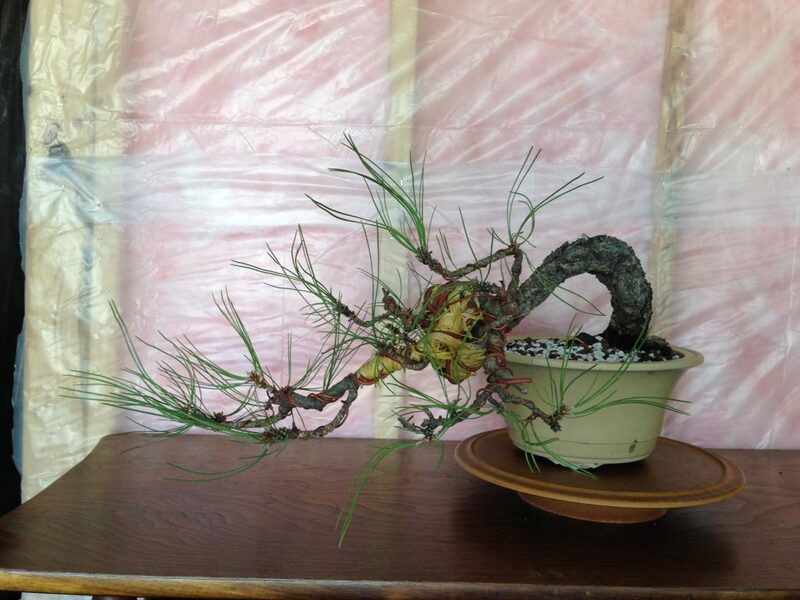 The buds that were there opened and the needles grew that were going to grow, but that is it. The tree never got any back budding and is lucky to be alive. This tree survived the winter of 2016. I had another Ponderosa that died in 2017. I followed the same technique and it also shared the same timeline as this one. 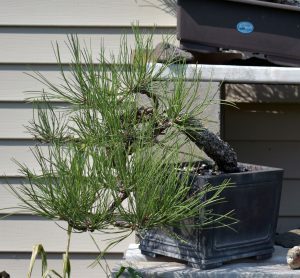 This particular Ponderosa Pine was not strong by any means in 2017 either. Still looked nice though. 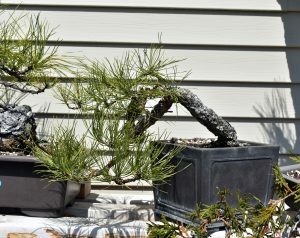 Needles were still small but the budding was just not happening. Here is how the tree looked in June and July of 2017. In the fall of 2017, I pulled the extending trunk line in closer and here is the tree in April of 2018. The tree is growing fine this year and think it has finally turned the corner and has built up its strength to finally grow. 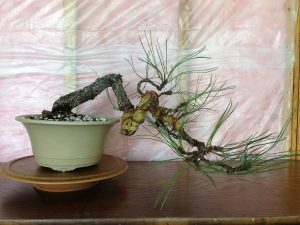 I feel that I set this tree back 3-5 years by using the “Fall Technique” and my lack of patience.